Photos provided by Barb Heiss, Tom and Eileen Jackson, Arch Hall Jr., Malcolm Gittins, Evan Kendal, Brian Kegan, Ted Lewczyk, John Sargent, Charles Henson, David Nelson, Theron Statler and others - thank you! 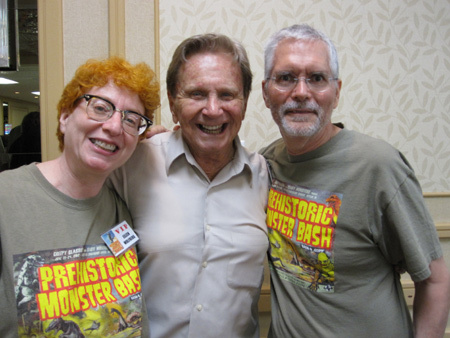 A happy Bert I. Gordon, Kenny Miller and Christina Goron (Bert's daughter) at Monster Bash 2012! 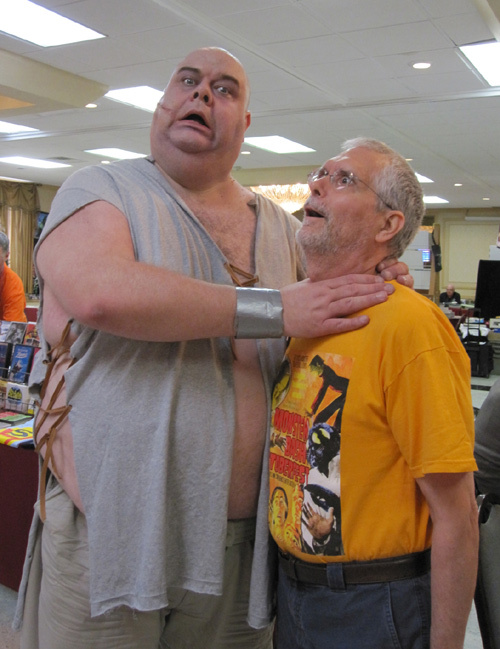 Jesse Melchior works on making Ted Lewczyk a caveman at Bash. 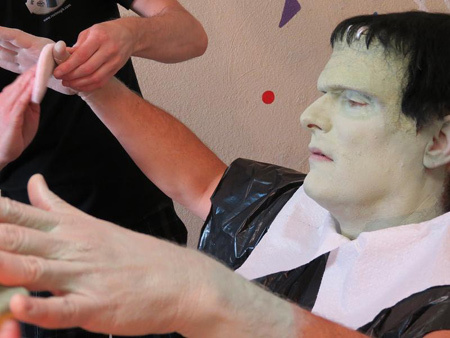 Martine Beswick and Scott Goetell during a Q&A session at Monster Bash. 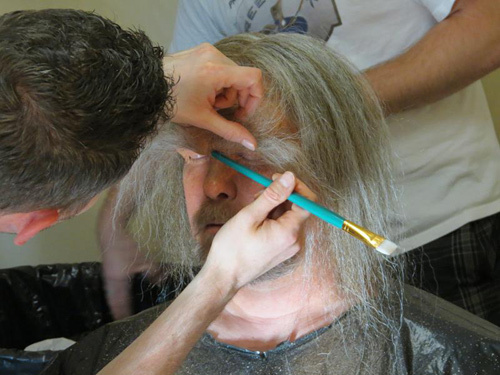 Todd Speidel experiences the Reel Magik make-up team! 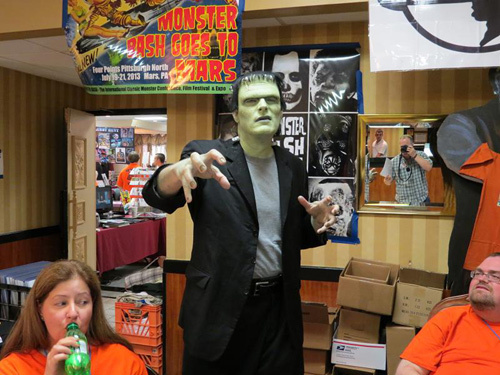 Just another day at the Monster Bash registration table - Left to Right: April Sargent, an Undying Monster and Leonard Hayhurst. 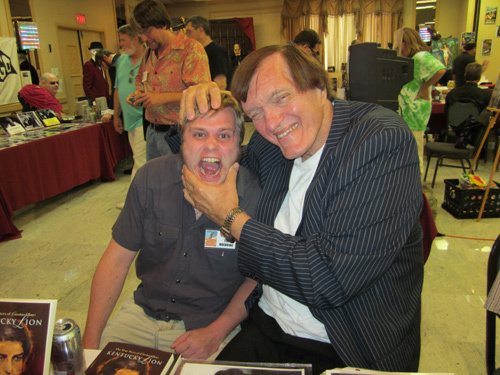 Richard Kiel crushes Tim Moehring's skull....and Tim actually enjoyed it! 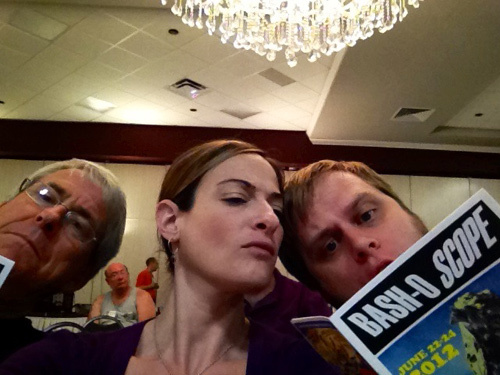 The Moehring family stcks together, because they Bash together! 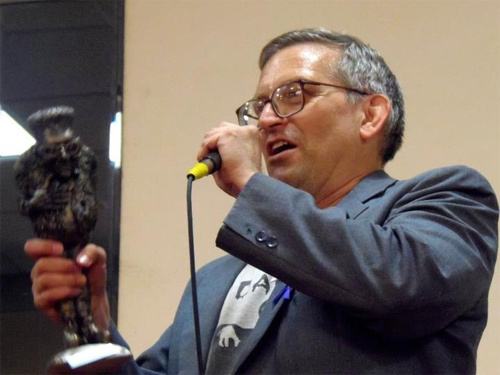 David "The Rock" Nelson recieves a Monster Bash Award - "The Forry!" 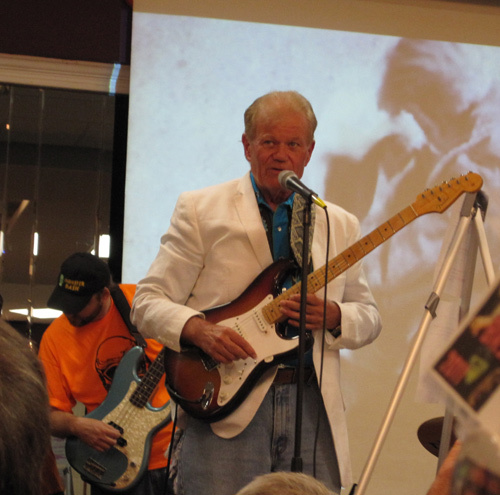 Arch Hall Jr. rocks Monster Bash, bassist for the Bash Boys, Dan Weber, in background. 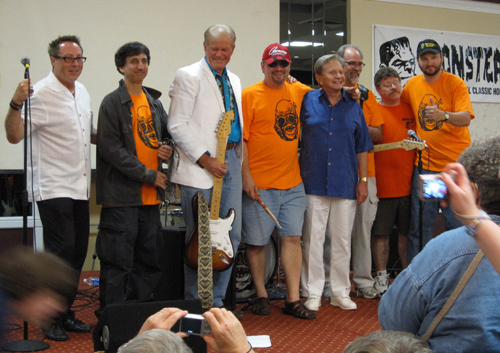 The music team from Friday night! What a team! 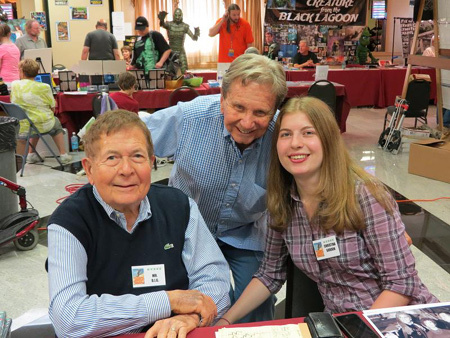 Eileen, Kenny Miller and Tom at Monster Bash.